BENICÀSSIM, Spain (CelebrityAccess) — The Festival Internacional de Benicàssim, the internationally renowned festival commonly know as Benicàssim has tapped Ticketmaster as their ticketing services company. Ticketmaster signed a multi-year agreement with the festival that will see if provide ticketing and marketing across 13 different European markets as well as providing the official resale platform. The annual festival takes place in July in Benicàssim, Spain. The line up for the 2014 edition of the festival included Tinie Tempah, Kasabian, The Libertines and Paolo Nutini among numerous others. 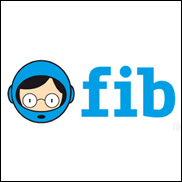 Melvin Benn, director of Benicassim, said: “Benicassim grows in popularity every year and we are excited to be working with a ticket agent that can handle the current demand, as well as helping us to grow our brand and event.